invasive throughout the mid-Atlantic region. 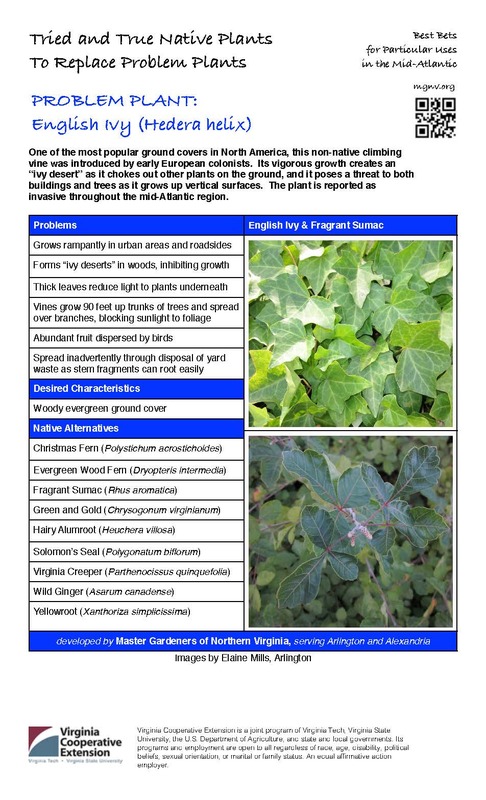 Visit the Tree Steward’s “Take Ivy Off Trees” web page for tips on English Ivy removal: http://treestewards.org/take-ivy-off-trees/. Learn more about Problem Plants.